Merritt Island National Wildlife Refuge: Common Gallinule. While driving on the Black Point Wildlife Drive in Merritt Island National Wildlife Refuge, I got a picture of a bird I had not seen before. It was as big as a chicken, and had yellow feet. 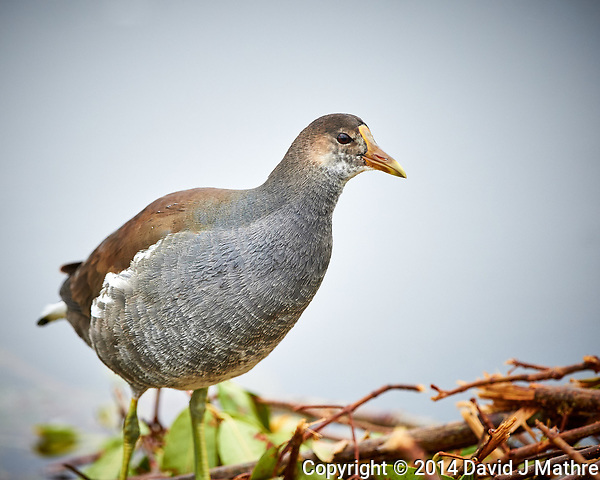 I think it might be an immature Common Gallinule. 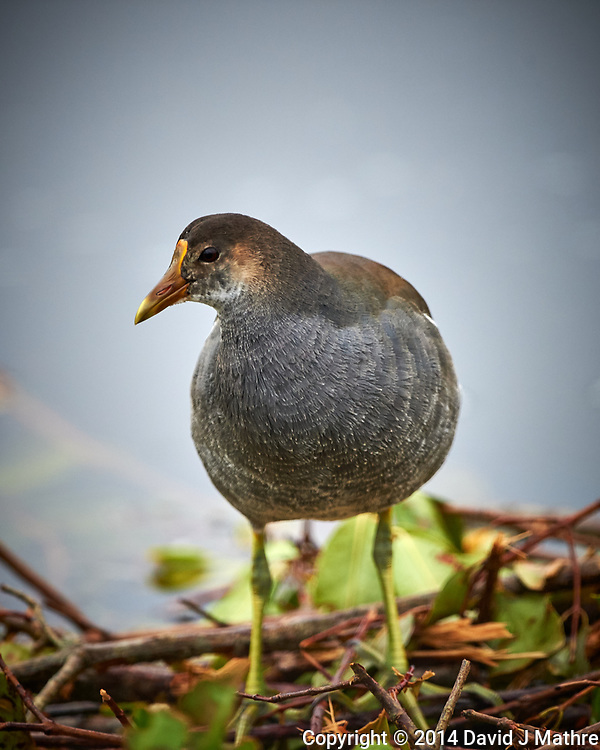 The adult Common Gallinule has a red beak which this bird does not have.